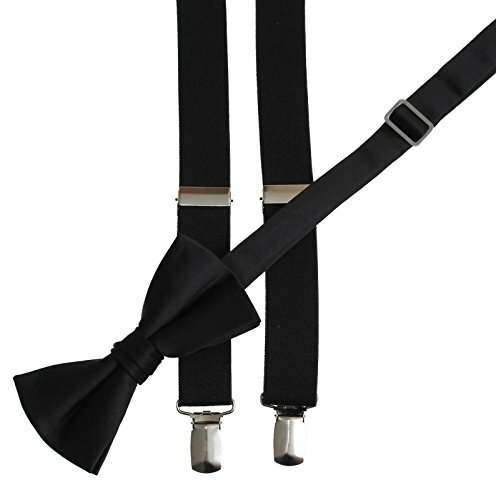 Quality suspender and bow tie set that ships directly from the United States. The bow tie is pre-tied with an adjustable neck strap. We do have smaller sizes available in the same color listed separately if you are needing a matching set for a ring bearer or child in the wedding event. Both the tie and suspender "braces" are manufactured in China but ship directly from the United States on the within 2 Business/Shipping days.